Mark A. Churchman, of Thornton, Colorado passed away on April 15, 2019. Mark was a shy, humble and private guy, but his heart was big and his attributes were many. 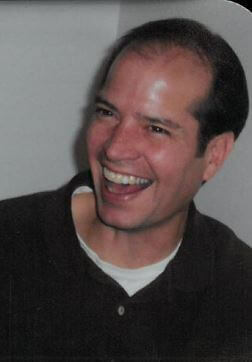 He studied Civil Engineering at the University of Oklahoma and at Metropolitan State where he graduated in 1994. He was a gifted artist, and avid runner and cyclist, and an Oklahoma Sooners and Colorado Buffs fan. Mark was proud of his Native American heritage and collected Indian artifacts. He studied his tribe, the Salish, in great detail and could speak about their history for a minute, or for an hour. He was a generous soul who put caring for his ailing Father and Mother in front of himself. He loved his Sisters (Ann, Susan, Janelle and Jennifer) and his Brother (Dave) unconditionally. Likewise, his nine nieces and nephews. Mark’s favorite TV networks were HGTV and whomever televised the Tour de France. He attended Catholic Mass loyally until his health started to decline. For more than 25 years, he was an award-winning Manager for Exela Technologies. He treasured his great neighbors, his dearest friend Lisa, and his fabulous nurses. Michelle and Jill from St. Anthony Hospice, especially. Mark was on the transplant list at Presbyterian/Saint Luke Hospital, but God had other plans for him. In lieu of gifts, the family suggests donations to Porter/St. Anthony Hospice in Mark’s honor. A Celebration of Mark’s life will be held on Monday, April 22, 2019 at 10:00 AM at Horan & McConaty Family Chapel, 7577 W. 80th Avenue, Arvada, Colorado 80003. Burial will follow at Mount Olivet Cemetery. Please share memories of Mark and condolences with his family by signing the online guestbook below. So very sorry to hear of the passing of Mark, please accept our sincere sympathies. May our heavenly father Grant you comfort in your time of Sorrow and his promises bring you hope in strength in the days ahead. John 5:28,29, Revelation 21:3,4.